Join us as a regular supporter of the Lake District Foundation!  By donating as little as £2.50 per month, you can become a regular supporter and directly contribute to funding vital projects aimed at caring for the Lake District and Cumbria’s natural environment and cultural heritage. As a regular donor you will receive a welcome pack including a Lake District Foundation tote bag, window sticker, limited edition pin and woven patch badge – the latter of which has been produced by Keswick-based family business, Conquer Lake District. Cash Please hand cash to a member of the Lake District Foundation and if applicable, specify your chosen campaign (e.g. K2T). We can provide a receipt if needed. If the cash donation is under £20, we can claim Gift Aid without a declaration. If the donation is over £20 please complete a Gift Aid Declaration and send to us by email or post. Cheque Please make your cheque payable to Lake District Foundation and if applicable, write your chosen campaign (e.g. K2T) on the reverse. Please complete a Gift Aid Declaration and send to us by email or post.